The YEARBOOK Deadline has been extended! 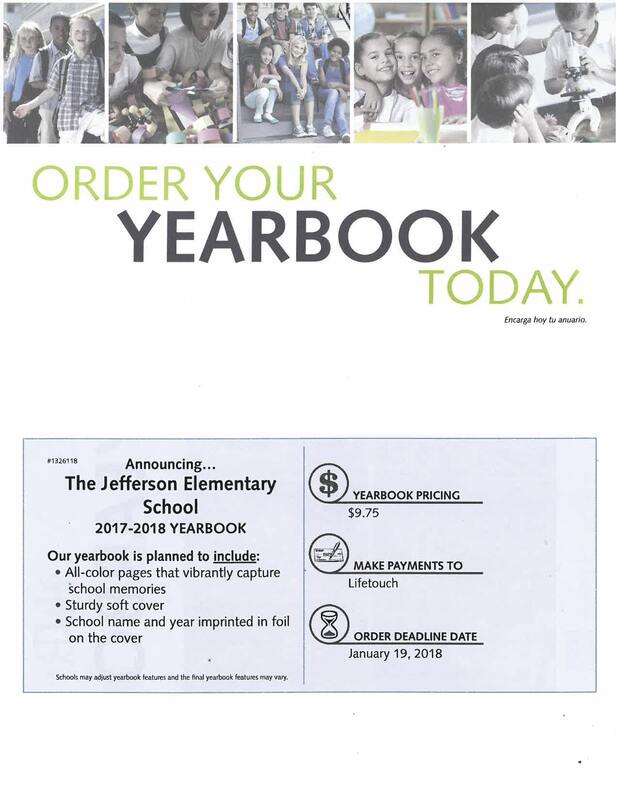 To get your Jefferson Yearbook, please send $9.75 with your student to school by Friday, January 26th. Please make checks payable to Lifetouch.